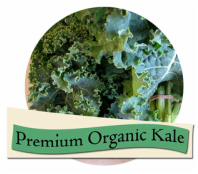 Deer Creek Organics grows organic-certified vegetables just 60 miles south of Chicago, Illinois. The 45 acres of fertile soil contains no synthetic pesticides, herbicides or fertilizers. We pay careful attention that every herb, every root and every leafy bunch leaving our farm meets the highest standard for flavor and quality. You are welcome to call for an informal tour and education on the ins and outs of organic farming in Illinois.